Sweet, creamy comfort in a cup. Make it with steamed milk and top it with a generous swirl of sweetened whipped cream and we bet it tastes even better than the ones you remember growing up. Decadence meets indulgence. Immerse yourself in a world of deep, dark chocolatiness and warm creaminess. Deliciously made with milk (not water) and conveniently served in your favourite mug. The lure of caramel. At its essence it tempts and seduces. Add to this an enticing sprinkle of sea salt. A confectioner’s treat right in your cup. 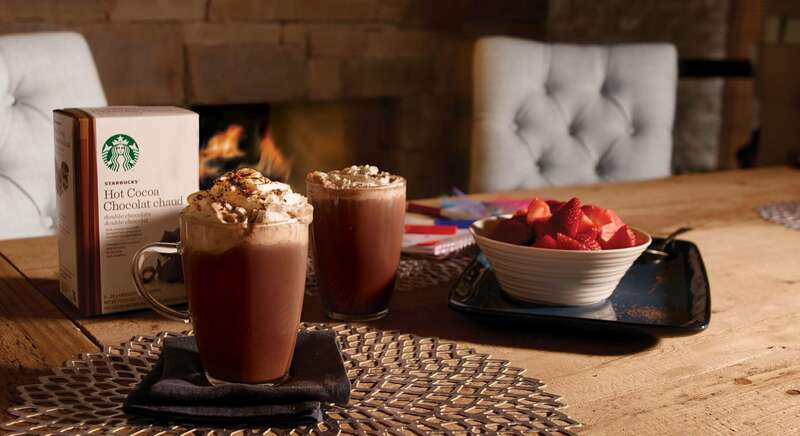 The cocoa for all occasions. Tasty yet refined, with a delicate balance of gooey, marshmallowy goodness. Put a little whimsy in your cup and your day. A toast to happily ever after. May the marriage of chocolate and peppermint always be this delightful. And may your cup never be empty.